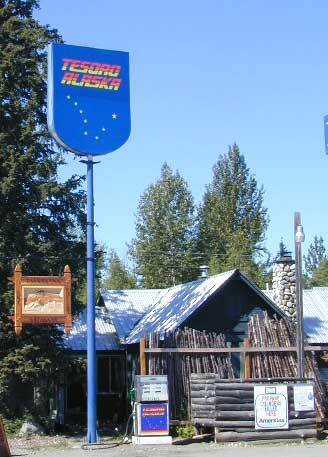 A Tesoro in Talkeetna, Alaska. 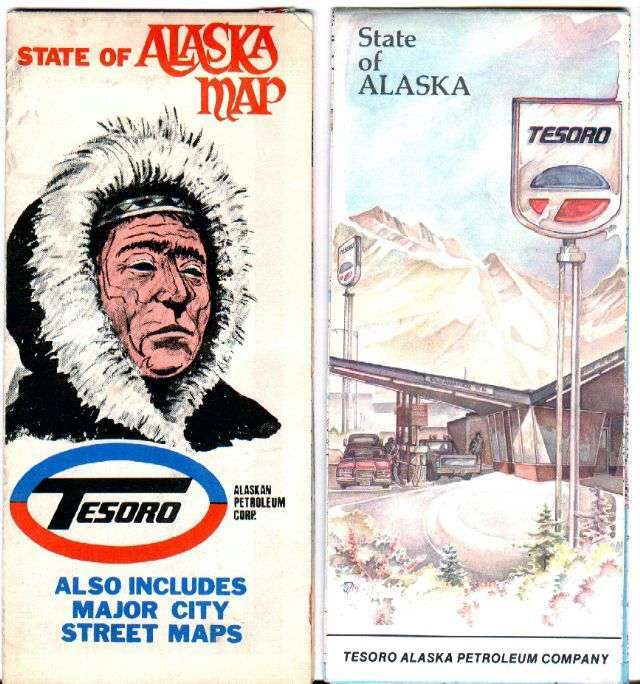 Tesoro in Anchorage, Alaska. Taken summer, 2003 by Craig Solomonson. Two photos of a Tesoro station at El Camino and Watt, Sacramento, CA. Photos taken 10-2002 by Les Cobb. 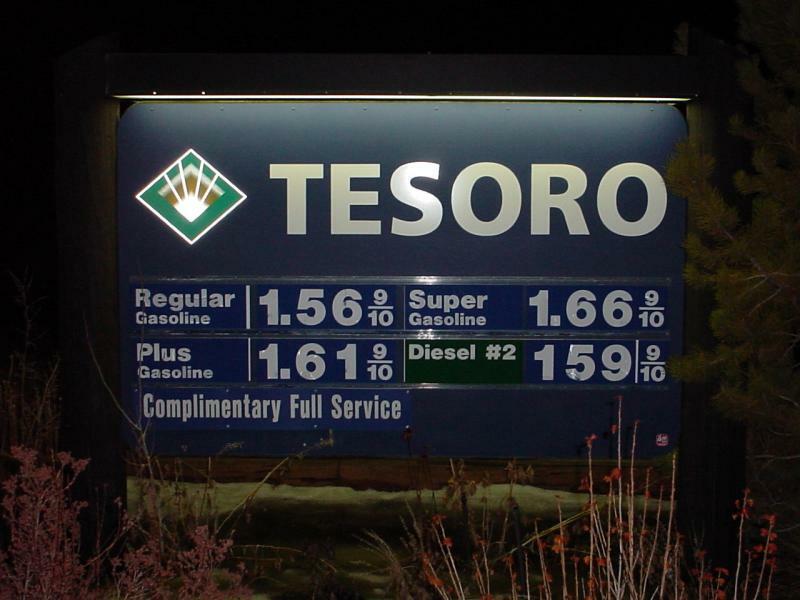 Tesoro on State Highway 22 near Jackson Hole, Wyoming. Taken Jan. 2003 by Tod Allen. 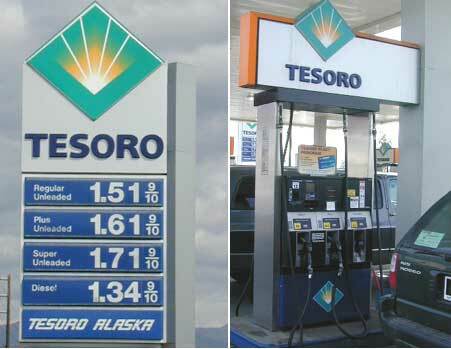 Notes: Tesoro is Spanish for "treasure"
Tesoro also operates Mirastar stations jointly with Wal-Mart stores.